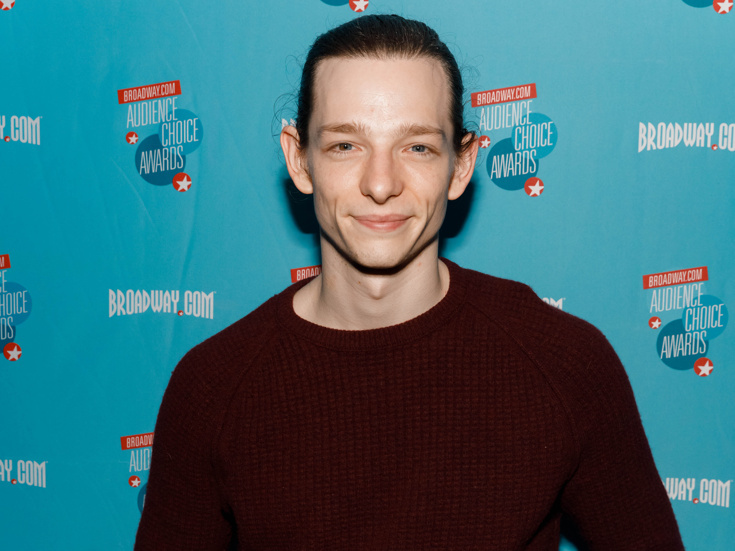 Mike Faist is taking his musical-theater cred to the big screen. The Tony-nominated Dear Evan Hansen original has landed the role of Riff in Tony Kushner and Steven Spielberg's upcoming West Side Story film remake, according to Deadline. Faist is known in Broadway circles for originating the role of Connor Murphy in Dear Evan Hansen, netting a Tony nomination for his featured turn. His other stage credits include Days of Rage, A Month in the Country, Appropriate and Newsies. Also new to the West Side Story film cast is Ana Isabelle (Univision's Viva el Sueño) as Rosalia and Maddie Ziegler (Dance Moms) as part of the Jets. The Jets chorus will also include Brianna Abruzzo, Kyle Allen, Kyle Coffman, Ben Cook, Harrison Coll, Kevin Csolak, Kellie Drobnick, Julian Elia, Myles Erlick, Leigh-Ann Esty, Sara Esty, John Michael Fiumara, Paloma Garcia-Lee, Garett Hawe, Patrick Higgins, Sean Harrison Jones, Eloise Kropp, Lauren Leach, Jess LeProtto, Skye Mattox, Ezra Menas, Adriana Pierce, Brittany Pollack, Daniel Patrick Russell, Talia Ryder, Jonalyn Saxer and Halli Toland. The Sharks chorus will feature David Aviles Morales, Yesenia Ayala, María Alejandra Castillo, Annelise Cepero, Andrei Chagas, Jeanette Delgado, Kelvin Delgado, Gaby Diaz, Yurel Echezarreta, Adriel Flete, Carlos E. Gonzalez, David Guzman, Jacob Guzman, Ana Isabelle, Melody Martí, Ilda Mason, Juliette Feliciano Ortiz, Edriz E. Rosa Pérez, Maria Alexis Rodriguez, Julius Anthony Rubio, Carlos Sánchez Falú, Sebastian Serra, Gabriela Soto, Ricky Ubeda, Tanairi Vazquez, Jamila Velazquez, Isabella Ward and Ricardo Zayas. They join a previously announced slate of stars that includes Ansel Elgort as Tony, Rachel Zegler as Maria, Tony nominee Ariana DeBose as Anita, Tony winner David Alvarez as Bernardo, Josh Andrés Rivera as Chino, three-time Tony nominee Brian d'Arcy James as Sergeant Krupke and Golden Globe nominee Corey Stoll as Lieutenant Schrank. Oscar-winning West Side Story original film star Rita Moreno will take on the role of Valentina, a reconceived version of Doc. As previously reported, Tony and Pulitzer Prize winner Kushner has written the adaptation of the 1957 musical originally penned by Arthur Laurents and Stephen Sondheim with music by Leonard Bernstein, and concept, direction and choreography by Jerome Robbins. 2018 Tony Award winner Justin Peck (Carousel) will choreograph the remake. Filming of the new West Side Story, directed by Spielberg and co-produced by Kristie Macosko Krieger and Broadway's Kevin McCollum, is scheduled to start this summer. An unrelated stage revival of West Side Story, directed by Tony winner Ivo van Hove and choreographed by Anne Teresa De Keersmaeker, is slated to premiere on Broadway in December.